When The Black Crowes parted ways following the end of their 2013 tour, the group said they had no future plans for live shows at the time as band members planned to focus on solo releases and projects in 2014. On January 15 – just 9 days shy of that 25-year mark – Rich stunned fans by announcing the end of the group amid some internal controversy. “I love my brother and respect his talent,” said the guitarist, “but his present demand that I must give up my equal share of the band and that our drummer for 28 years and original partner, Steve Gorman, relinquish 100% of his share, reducing him to a salaried employee, is not something I could agree to." Chris made his first public comments on the situation a few days later, revealing his frustration with the poor work ethic he felt the Crowes developed in recent years. "It came from songwriting,” said the singer. 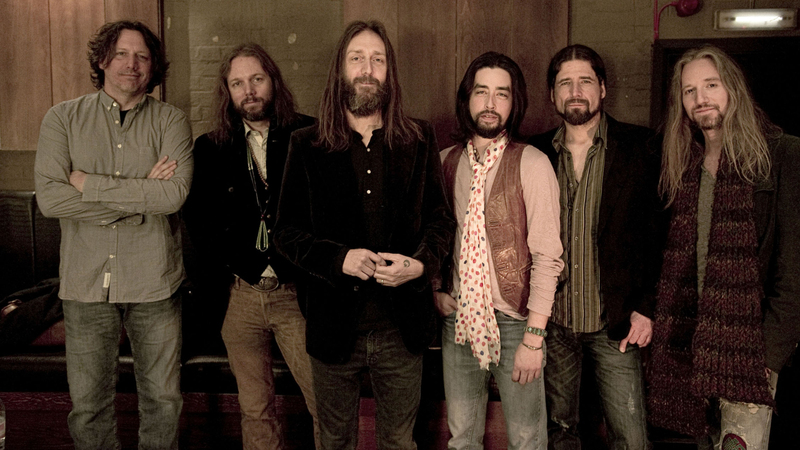 “The Black Crowes don't write songs anymore. They don't think of the present or the future. I like making albums and playing concerts. I was sitting on two EPs' worth of written songs." “It's way more complicated than Rich's public outburst," Chris added later in an interview with Billboard. "I'm going to keep my personal, private family business personal and private, and I'll focus on all the other things that are important. The ideas, I think, are more important than the drama. “The Black Crowes is so much time and it's so complicated, and then you mix family and whatever that is into it. To me it's just sad and it's disappointing and it's unfortunate that on the 25th anniversary, whether the band is working or not, that it's not about the songs and the good times people had at those concerts." Earlier this month, the group did eventually get around to marking the 25th anniversary by reissuing their first four albums on high-grade 180-gram vinyl. The Black Crowes began as Mr. Crowe's Garden – named after Leonard Leslie Brookes children's book "Johnny Crow's Garden" – in 1984. Their 1990 debut helped fuel a return to roots rock on its way to selling more than 5 million copies in the States alone. The group issued 8 studio and 5 live records during their run while selling more than 30 million albums worldwide.